This team was in Haiti Jan 2018. They worked with both the school and orphanage providing teacher training and a music program for the students. Is a 501(c)3 Charitable organization​ that supports several ministries in the impoverished nation of Haiti. 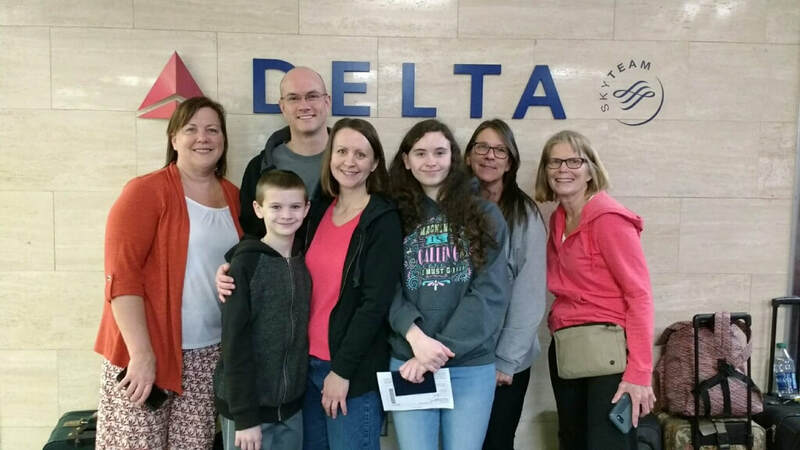 In 2009 a small team of volunteers, led by Cindy Keagy and Leslie Holdegraver, followed Pastor Jean Prenor Brisenault on a vision to be the hands and feet of Jesus to the local community, growing a church and starting a small school connected to the church. This was the beginning of the 501(c)3 organization JOY IN HAITI. In late 2011, it was clear to Pastor Brisenault that opening a safe home for young girls had been laid on his heart, and his wife Joseline was in agreement. They opened an orphanage, giving it the name "House of Joy" in the hopes it would be a place of joy for young girls in need to live. A board of 10 members oversees the functioning of this growing organization in its support of House of Joy, New Christian Church of Tabarre, and the associated Christian School of Tabarre. The mission of Joy in Haiti is to spread the gospel of Jesus Christ in Haiti, as well as to help meet the physical needs of those living in poverty. ​Joy in Haiti works with followers of Jesus who live in Haiti and ​are sharing their faith with those around them. How would you describe JOY?? Webster's dictionary defines JOY as a feeling, source or cause of great happiness. Success in doing, finding, or getting something. JIH Board members, collectively, say JOY is having Jesus in our heart, serving, smiling faces, family. All of those listed are good things! ​The NIV Bible tells us that JOY is not like happiness which is based upon happenings or whether things are going well or not. Joy remains even amidst the suffering. that joy is also a gift, a gift from God. This picture video was created to show the land transformation through summer 2016. Pastor Jean Prenor and Joseline Brisenault, together they have one daughter named Emma. And who is wholeheartedly behind Pastor Brisenault, his mission vision and family? The video below can also be seen on You Tube!! Thank you, Jim Viehman, friend to Joy in Haiti and so many other charitable organizations. Huge amounts of thanks are owed to Mr. Jim Viehman for this informative video portraying Pastor Brisenault & the NEW land! Pictures are great, but a video really shows the story! 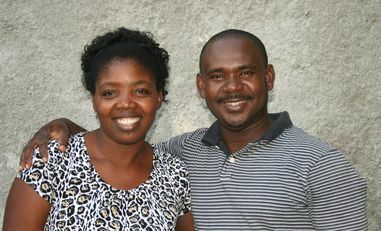 *Jim is a friend to Joy in Haiti, among so many other non-profit organizations. His gift takes him all over, to remote corners, bringing home the visual account of the most basic of human physical needs. His skills are immeasurable, his understanding of the story to be told is perceptive and comes forth with clarity. The board is grateful & appreciative beyond words for Jim's efforts in this video creation. Please follow the link to the right to read the Year End letter from Cindy Keagy, President of Joy in Haiti and the Board! We are blessed to serve. See the latest pics of the 2nd building being added to the House of Joy orphanage! for the girls residing there--under "ministries" (above) click on "House of Joy" to see the latest pics!